Even when on vacation, Our Weekly Pizza must go on. 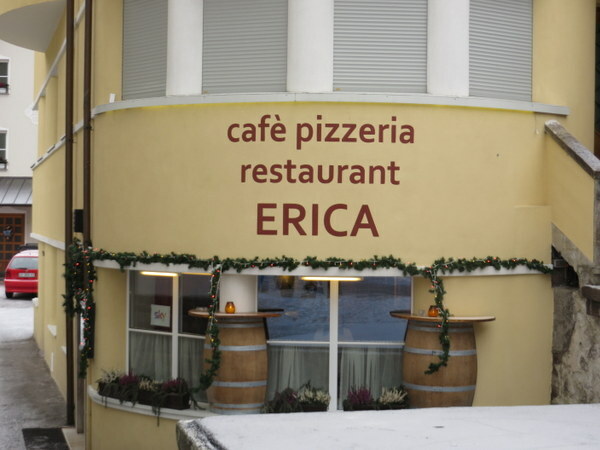 We must have our “fix.” While enjoying Christmas in the cute little town of Ortisei in the Val Gardena of Italy’s Trentino-Alto Adige, we rewarded ourselves in advance of our afternoon hike with Erica’s pizza. We’ve eaten here on three summer trips, so no surprises. Just a decent pie at a fair (for the area) price. You can have a fine LaGrein by the glass for about €3.00. 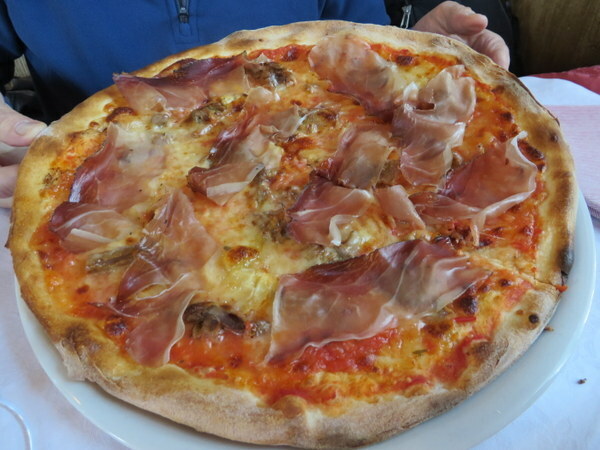 Ric’s choice with very smokey-tasting speck, the regional cured pork product and fresh wild mushrooms. The entrance is nothgin spectacular, just off the main street in Ortisei, but in summer you will find a lovely terrace out back with a view down the valley. 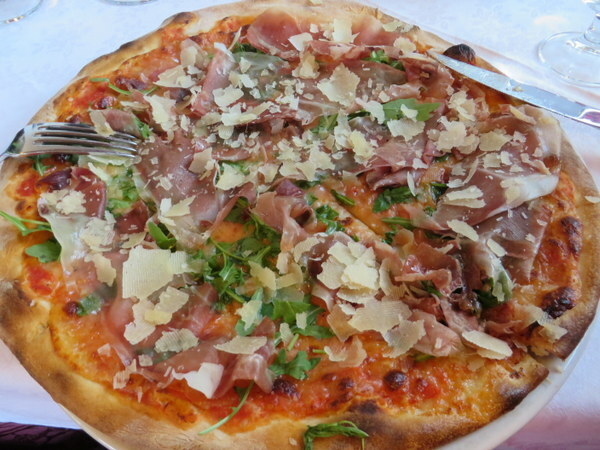 Pizza Quality: 2 Excellent ingredients, a decent crust and good variety. Just cannot quite give it a “3” but very good for the region. Service: 3 Warm greetings, quick but unhurried. Pizza available at lunch, a bonus. Lots of menu options beyond pizza. Ambiance: 3 Typical Tyrolean atmosphere. Separated into bar and restaurant portions with a wonderful terrace for summer.